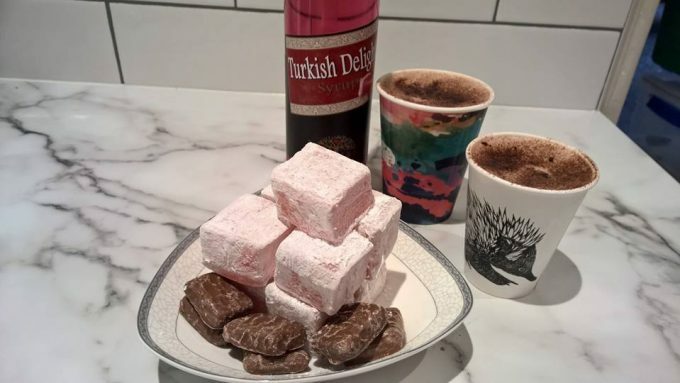 Turkish Delight and Art Cups – Oh My! Time to put on a thick coat, some gloves and a hat and brave the cold because we have some lovely treats to warm you up from the inside for you in our wonderful new Sweets & Treats store. Our theme today is Turkish – fresh in this week is a batch of hand made Turkish Delight – cubes of dusted, rose flavoured gooey deliciousness. Or have it chocolate coated and double the fun. Or warm up with an old fashioned cup of Hot Cocoa with a splash of Turkish Delight syrup – you can’t get much better than that. All of this deliciouness is presented in our beautifully quirky Art Cups to add even more love to the experience. The Echidna design is one of the best so far!